At church, we like to worship God. This means telling him how great we think he is.The Bible not only tells us the “what” of worship, but also something about the “how.” Worship that is acceptable to God involves more than just doing the right things. To offer them “in faith” (Hebrews 11:4), “in spirit” (John 4:24), and “in reverence and awe” is equally important. True worship is God-centered worship. People tend to get caught up in where they should worship, what music they should sing in worship, and how the worship looks to other people. Focusing on these things completely misses the point. Jesus tells us that true worshipers will worship God in spirit and in truth (John 4:24). This means we worship from the heart and the way God has designed. Worship can include praying, reading God’s Word with an open heart, singing, participating in communion, and serving others. It is not limited to one act, but is done properly when the heart and attitude of the person are in the right place. Your next step may be to visit one of our services. At Christ Church we are blessed in having a modern building with a flexible space for worship. 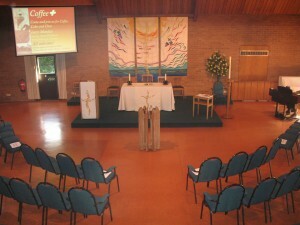 For most services the space is arranged with the congregation around the Lords table. 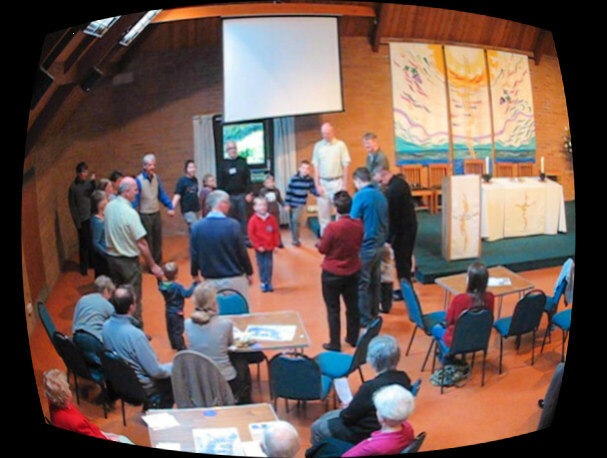 Worship services at Christ Church usually follow the pattern set out in Common Worship but using a number of the variations allowed according to the theme of the message for that particular week.